Black tar heroin is a popular form of the illicit substance that is usually found West of the Mississippi River. Typically produced by Mexican drug cartels, black tar heroin is a less pure form of heroin that is just as potent. As it sounds, black tar heroin is a cruder form of the illicit opioid that is black and sticky in appearance and texture. Also popularly referred to as Mexican black tar heroin due to it being a major export for Mexican cartels, the drug is mostly found West of the Mississippi River in the U.S. and Canada. Many hear that black tar heroin isn’t as pure and think that it isn’t as potent as its white, powder form; however, it is just as strong. This misconception can easily lead to people overdosing, thinking that they need more to get the same high. Because of its crude form, the sticky tar is difficult cannot be used intravenously unless it is diluted into a liquid, typically by heating with a spoon. People who have black tar heroin will also smoke it, often on tin foil, or ingest it another way. Roughly 80% of Americans who suffer from heroin addiction admit they started with a prescription opioid. In 2016, there were 948,000 heroin users in the U.S. A 135% increase from 2003’s 404,000. If someone begins exhibiting these symptoms, timely use of naloxone can reverse these symptoms and stop an overdose before it turns fatal. 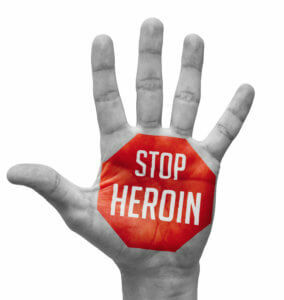 Studies report that 80% of the people addicted to heroin once started by using a prescription opioid. After they’ve grown addicted, and their prescription has run out, many turn to purchasing the drug illicitly. It is only after desperation sets in that they will turn to heroin, a cheaper and more potent alternative. Black tar heroin, is generally cheaper and easier to locate in the Central and Western United States than white heroin and many other opioid alternatives. This continues to develop from the stigma around addiction. Despite it being a natural, biological response to the introduction of different medications, society still views it as some form of weakness, making it hard for those suffering to come forward. If you or someone you love suffer from addiction to black tar or any kind of heroin, do not be afraid to seek help. Many cases of addiction start innocently, with someone just trying to manage physical pain. The worst thing you can do is close yourself off. It will just allow your addiction to grow while you push away those closest to you. If you don’t know where to start, reach out to a dedicated treatment specialist today. They’re here to help you on your way to long-term recovery.